Good day, everyone. I’m back with a review this week, after a brief hiatus. I thought we’d look at a recent limited run of cigars released by Tatuaje about two weeks ago: The Tatuaje Mexican Experiment (Limited Edition). This cigar was released in two vitolas, (robusto and toro, both square pressed), to two markets (Florida/Southeast and Northeast, respectively). I have spoken with a few different retailers who received shipment of the cigars, and quite honestly have been given conflicting production numbers – anywhere from 200-400 bundles of 15 for each vitola. Frankly, I suppose the actual number released is irrelevant since they all seem to have flown off the shelves in short order. I managed to purchase a few from Tampa Humidor before they sold out, and have subsequently been given one of the Northeast toros by a fine gentleman in Boston. Today’s review is based on the robusto (5″ X 52), which was sold in the Florida market for roughly $8 per cigar, in bundles of 15. 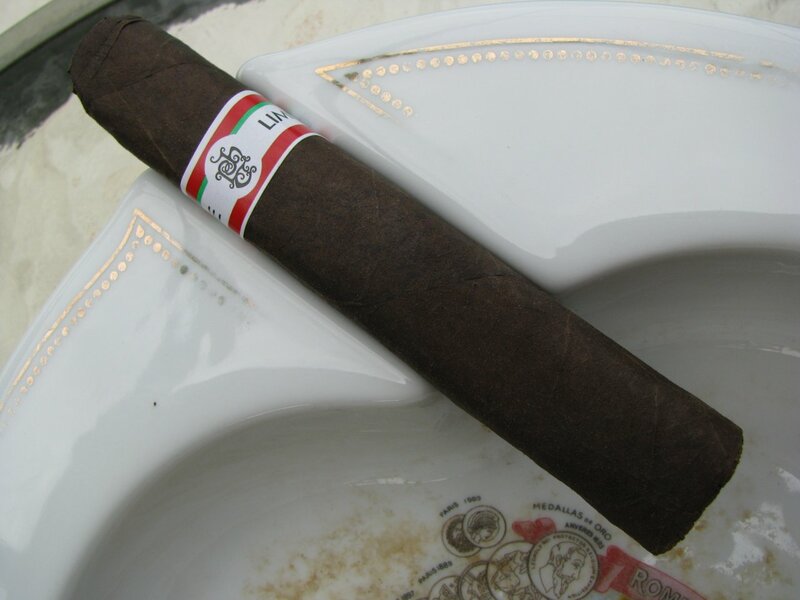 The Tatuaje Mexican Experiment is named for its use of San Andres wrapper leaf. The filler and binder are both Nicaraguan, and it was made by My Father Cigars like its other Tatuaje brethren. The wrapper is a beautiful deep chocolate brown, and uniform in color across the length of the cigar. 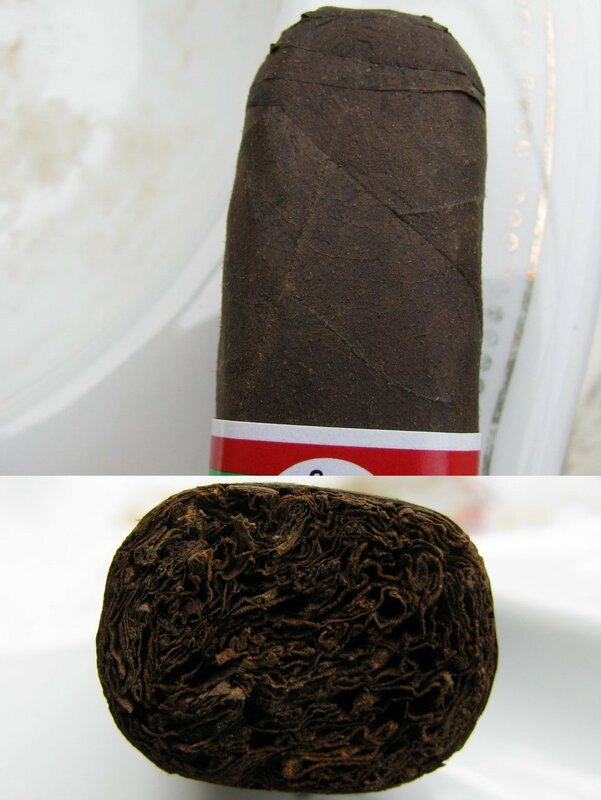 The veins in the leaf are almost entirely obscured by the press, which leaves the cigar exceptionally smooth. It is dry to the touch, with little noticeable oil…yet very, very smooth. The prelight aroma meshes well with the appearance, giving distinctive notes of oats and unsweetened chocolate at the foot. I also pick up a general, nonspecific nuttiness in there as well, but hidden away in the background. Once clipped, the draw is free and unrestricted, and similar in flavor to the aroma at the foot. The cigar took flame well, lighting easily across the entire foot. The first few puffs provide some of the expected “Pepin” spice, but not nearly to the degree I sometimes find in his blends. It’s there, and can be felt on the back of the throat, but never approaches the limits of comfort. As would be expected, it is more prominent on the retrohale, although even then it produces no discomfort. The cocoa and chocolate flavors present nicely in this first inch of smoking, slightly sweeter than on the cold draw. They’re also accompanied by some charred oak. I took the time at this point to look the cigar over a little more critically than before lighting and really pay attention to the construction. It’s put together nicely, and the freedom of draw is surprising in a pressed stick. The pressing also makes the seams almost disappear, which really highlights that uniformity of color I mentioned earlier. Aesthetically, it really is a beautiful cigar. As I approach the end of the first inch, the flavors remain fairly constant and the strength is medium in my judgement. I was prepared for a potent cigar; while this one is bold enough to know you’re smoking a cigar, it isn’t going to send you to your knees. I would place it far into the full end of the medium spectrum by the 1″ mark. The spice picks up a bit at this point, and the flavors stay in the cocoa-leather-unspecified grain territory which is very appealing to me. The ash was solid and clung tightly to the rest of the stick until just past an inch, although it did produce very small flakes of ash throughout. In the latter part of the second inch, the spice has faded well into the background. I love the sweetness produced in this portion of the cigar. That sweetness hits a crescendo and fades as well to wrap up the second inch. Going into the third, an occasional but fleeting wisp of citrus and leather wind across the palate, but the cigar took on a “brighter” hue in my mental flavor imagery. It’s quite dry on the palate, and a slightly bitter edge creeps in. It never became acrid, and in fact remained quite pleasant to the very end. But, the flavor palette changed to be more bright and tart than at any earlier point – almost astringent even. 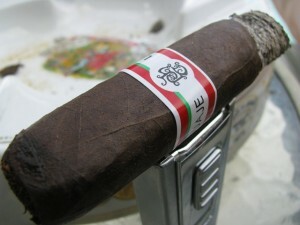 It’s no secret that I am a big fan of Tatuaje cigars, and The Mexican Experiment is no exception. Did it instantly become my favorite of their cigars of all time? No. However, I’m working off an assumption that it wasn’t released with the belief it would. My guess (and this is pure speculation) is that it actually is an experiment…a feeler into the market to test the reception and get an idea for how it might do on a larger scale, possibly with some tweaks. Personally, I hope it makes it into regular production. It fills a niche in Tatuaje’s offerings with a slightly milder cigar that presents a flavor profile I find very enjoyable, and is in my mind a departure from what I’ll call “typical” for them. Regrettably, I only managed to score five of them before my local shop was cleaned out. I hope there’s another wave released soon. I don’t typically assign numerical scores in cigar reviews, but if I did this would rate highly. I think the experiment is a success, and I would love to have them in my humidor in greater supply and on a regular basis. Before I wrap this up, I want to mention the next giveaway, which should be posted later this week. 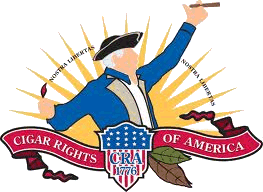 First, if you’re not a member of Cigar Rights of America, you should be! What could you possibly be waiting for? Aside from the fact that it’s a great deal, they’re working to preserve our freedom to enjoy a cigar at a time when the industry is under assault on many fronts. And, you get a couple of great cigars with your membership as well as 6 months’ free subscription to Cigar Aficionado’s Cigar Insider, the CRA newsletter, travel discounts, chances to buy special samplers, etc. It’s more than worthwhile. You can join up at the CRA website, and use my ambassador number as a referral (0169) or send an email to [email protected] and I can get you signed up. I’m a big proponent of CRA, and this month our giveaway is going to be centered around membership. They have been kind enough to provide one of the CRA samplers for the contest, and I will also be including some cigars from my personal stash and a brand new Cigarmy coffee mug – be the first on your block to have one! As I said, this will go live this week, and we’ll start taking entries. Until then, I hope you’re all having a great day.